I am obsessed with glitz and glamour this Halloween instead of scary horror looks. 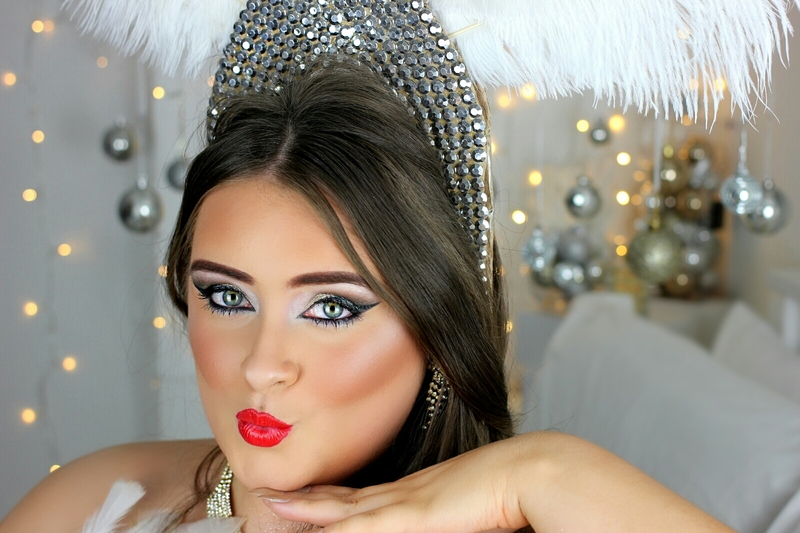 So I've partnered with Miss Beauty to bring you a gorgeous, glamorous and very statement look. 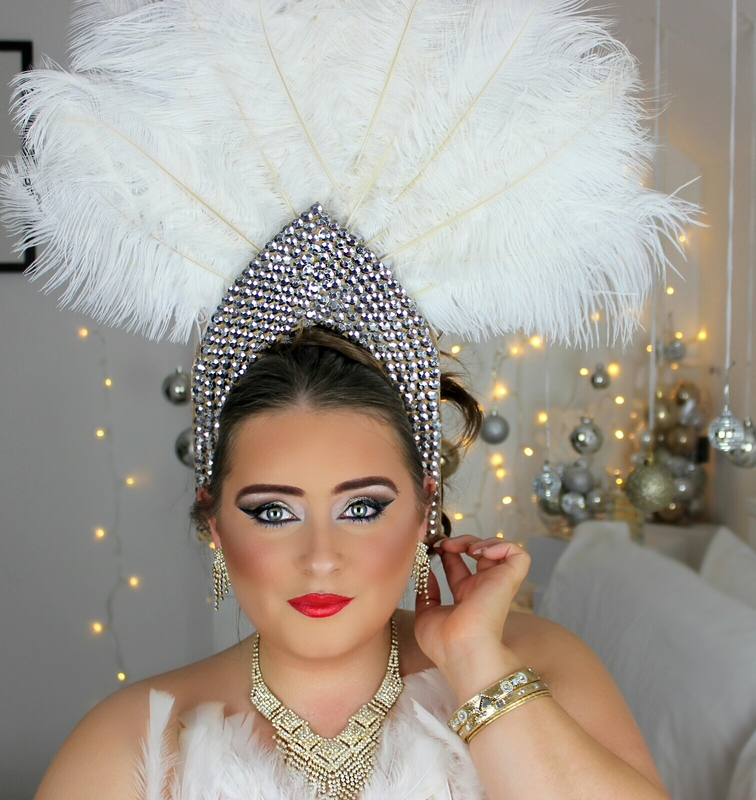 So, this look centres around a showgirl dressed up and ready for the show. I had the idea of wearing a huge Ostrich feather-like headrest, so I handmade this one. I added some silver rhinestones to the headpiece and VOILA! I am loving the gold and silver sparkles everywhere. For my makeup I used all Miss Beauty products and they have some of the best lip formulas I've tried. 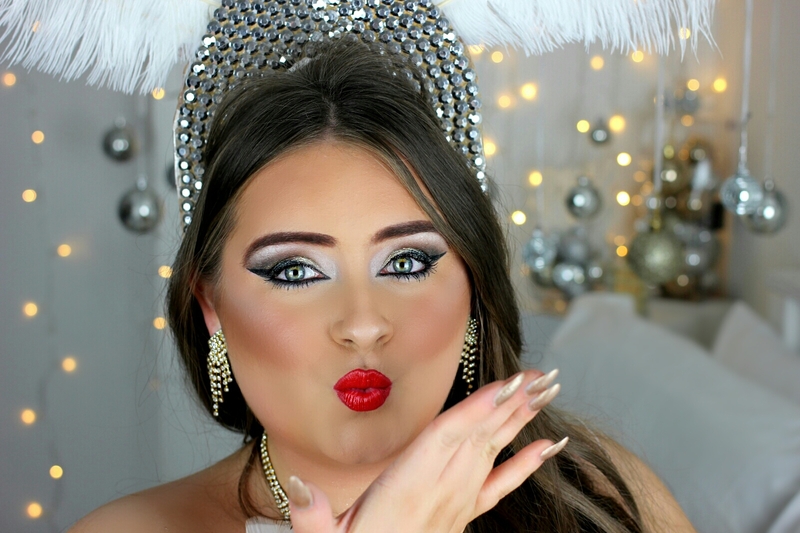 Miss Beauty makeup is sold in Poundworld throughout the UK and is available for only £1. 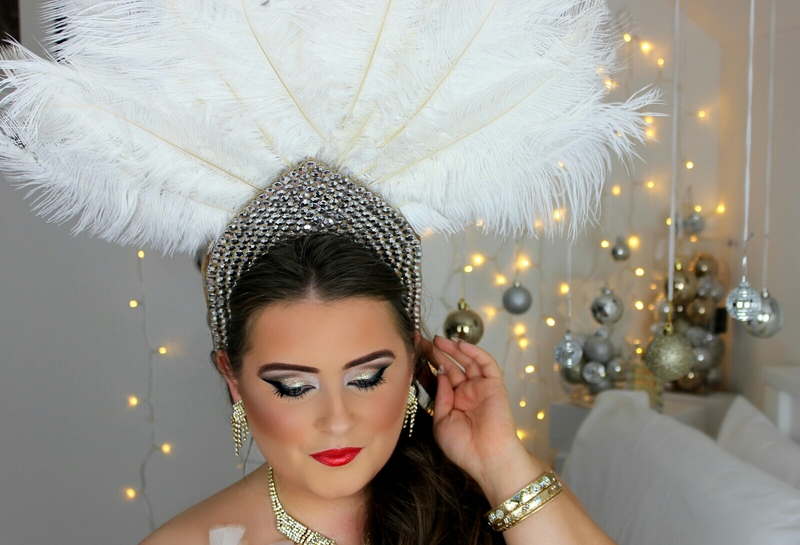 I have listed everything I've used down below along with a video tutorial showing you how to achieve this Showgirl look. I hope you like and enjoy.